- Robinson, S singled to left center (0-1 K). - Huaining, Y grounded out to p (2-2 KFBB); Robinson, S advanced to second. - Peterson, A struck out swinging (2-2 BFBKFS). - Rhodes, J hit by pitch (0-0). - Jing, Z struck out swinging (0-2 KFS). - Moss, B walked (3-2 BBKFBB). - Marshall, S singled, advanced to second on the throw (1-0 B); Moss, B advanced to third. - Gano, C singled to right field, RBI (0-1 K); Marshall, S advanced to third; Moss, B scored. - Gano, C advanced to second on the throw; Marshall, S out at home rf to c.
- Taylor, N hit by pitch (1-0 B). - Taylor, N advanced to second; Gano, C advanced to third on a passed ball. - Hernandez, N struck out swinging (2-2 FBBSS). - Blank, M homered to right field, 3 RBI (1-1 KB); Taylor, N scored; Gano, C scored. - Sandberg, K flied out to cf (0-1 K). 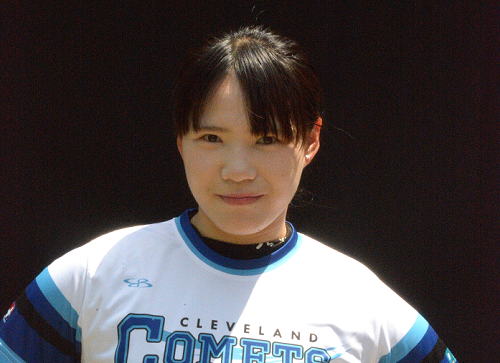 - Xinyue, J struck out swinging (0-2 KKS). - Miller, C walked (3-2 FBKBBB). - Yang, C grounded into double play ss to 1b (2-2 SBKB); Miller, C out on the play. - Ramirez, A walked (3-1 BKBBB). - Crane, E struck out swinging (1-2 BKKS). - Moss, B flied out to cf (0-1 K). - Ramirez, A out at second c to ss, caught stealing. - Fei fei, L popped up to c (0-0). - Robinson, S struck out looking (2-2 BKSBK). - Huaining, Y grounded out to p (0-1 F). - Marshall, S popped up to ss (2-2 BKKFFB). - Gano, C flied out to lf (3-2 FBKBFFB). - Taylor, N flied out to lf (0-1 K). - Peterson, A flied out to cf (0-0). - Rhodes, J grounded out to 3b (1-2 KFB). - Jing, Z singled to shortstop (1-2 FSB). - Jing, Z out at second c to ss, caught stealing. - Hernandez, N singled to left field (0-2 FFFF). - Blank, M reached on a fielder's choice (3-2 BBBKKF); Hernandez, N out at second ss to 2b. - Sandberg, K walked (3-1 BFBBB); Blank, M advanced to second. - Ramirez, A struck out looking (3-2 KSBBBK). - Crane, E fouled out to 3b (1-2 KKFB). - Xinyue, J struck out swinging (1-2 SFBS). - Miller, C flied out to cf (1-0 B). - Yang, C struck out swinging (1-2 FBFFFFS). - Moss, B walked (3-2 KBBBFB). - Marshall, S singled to third base, bunt (0-0); Moss, B advanced to second. - Marshall, S advanced to second; Moss, B out at third c to 3b. - Gano, C walked (3-2 BKBSBFB). - Taylor, N flied out to cf, SF, RBI (1-2 KBF); Gano, C advanced to second; Marshall, S scored. - Hernandez, N homered to left center, 2 RBI (2-0 BB); Gano, C scored. - Yan, W to p for Yang, C.
- / for Brown, D.
- Blank, M walked (3-0 BBBB). - Sandberg, K singled to left field (2-1 KBB); Blank, M advanced to second. - Scroggins, J pinch hit for Ramirez, A. - Scroggins, J singled to third base (0-0); Sandberg, K advanced to second; Blank, M advanced to third. - Crane, E reached on a fielder's choice (1-0 B); Scroggins, J out at second 2b unassisted. - Ramirez, A to 2b for Scroggins, J. 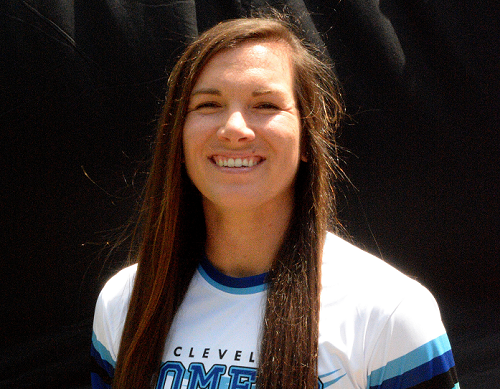 - Turnier, S to p for Wagner, H.
- Fei fei, L struck out swinging (2-2 BBFFS). - Robinson, S lined out to rf (0-0). - Huaining, Y popped up to 2b (1-2 KKB). - Yue, X to 2b for Jing, Z. - Na, L to ss for Xinyue, J. - Yao, L to cf for Fei fei, L.
- Moss, B grounded out to p (0-1 F). - Marshall, S hit by pitch (0-0). - May, S pinch hit for Gano, C.
- May, S singled to right field; Marshall, S advanced to third. - Taylor, N singled to left field, RBI (2-2 BFBK); May, S advanced to third; Marshall, S scored. - Hernandez, N lined out to ss (2-0 BB); May, S scored on a throwing error by ss, unearned. - Blank, M lined out to 2b (0-0). - Taylor, N to 3b. - Hernandez, N to dp. - Waldrop, L to p for Turnier, S.
- Gano, C to ss for May, S.
- Peterson, A hit by pitch (0-1 F). - Rhodes, J grounded out to 3b (0-1 K); Peterson, A advanced to second. - Yue, X grounded out to 2b (0-2 KF); Peterson, A advanced to third. - Na, L struck out swinging (1-2 SSBS).